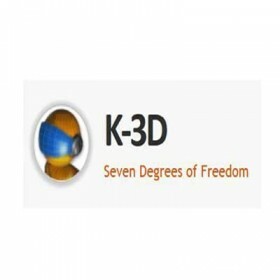 K-3D is a free 3D modelling and animation software. Despite its name it is not a KDE application; it uses the GTK+ toolkit via gtkmm. It features a plug-in-oriented procedural engine for all of its content. K-3D supports polygonal modelling, and includes basic tools for NURBS, patches, curves and animation.